There is nothing better than seeing a NHL hockey game in person. 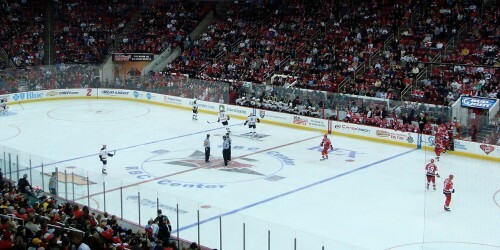 The experience of a live hockey game played at the highest level is nothing short of exhilarating. You will find athletes displaying brute strength with a combination of elegance that can only be seen on the ice rink. Last season’s champs were the Chicago Blackhawks – however the New York Islanders and Winnipeg Jets look poised to take the title in 2015. Head down the arena and watch your favorite team make a run in the Stanley Cup Playoffs. Check out the 2015 NFL schedule and buy your tickets today from TicketGrid!